Osteopaths work with their hands, but there is no standardised treatment for any condition. Just as different doctors may prescribe different tablets for the same condition, so different osteopaths may employ different techniques according to their experience and expertise and to the individual needs of that patient. 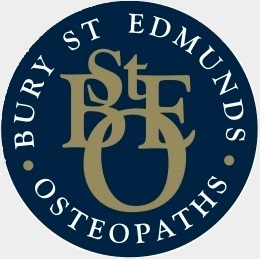 Osteopaths use a wide variety of treatment methods from soft tissue massage and passive repetitive stretching movements, to the high velocity thrust technique that can cause a joint to click. Gentle release techniques and cranial osteopathic techniques are used, particularly when treating the very young or elderly patients.The treatment programme may include advice on posture, diet, lifestyle, or stress, as all of these may have contributed to the problem. Instead of treating symptoms, the osteopath attempts to remove problems that can hinder the body’s natural ability to repair itself. Osteopathic treatment is seldom painful and patients generally find treatment to be pleasant and relaxing. No. A formal referral from your GP is not necessary, the majority of our patients self-refer. However, more and more GPs are referring patients to osteopaths. Since 1974 the General Medical Council has permitted doctors to refer patients to practitioners outside the medical profession provided that they retain ultimate responsibility and have confidence in the practitioner’s competence. The standard of training laid down by the General Osteopathic Council (GOsC) gives its members the competence, which the medical profession expects. The practice has a good relationship with local members of the medical profession and we will be happy to work with your doctor to establish the best course of action, though it is not necessary for your doctor to be informed that you are attending. How much does it cost and what happens at my first appointment?